Non Dug U.S. 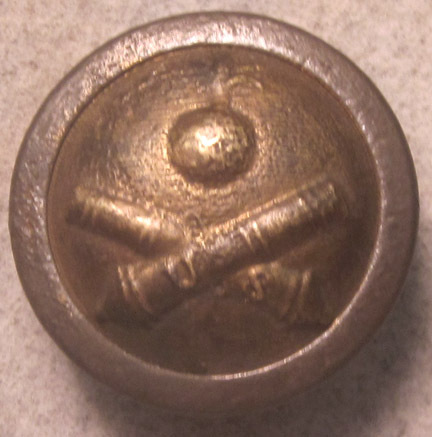 Ordnance Button (coat sized). U.S. 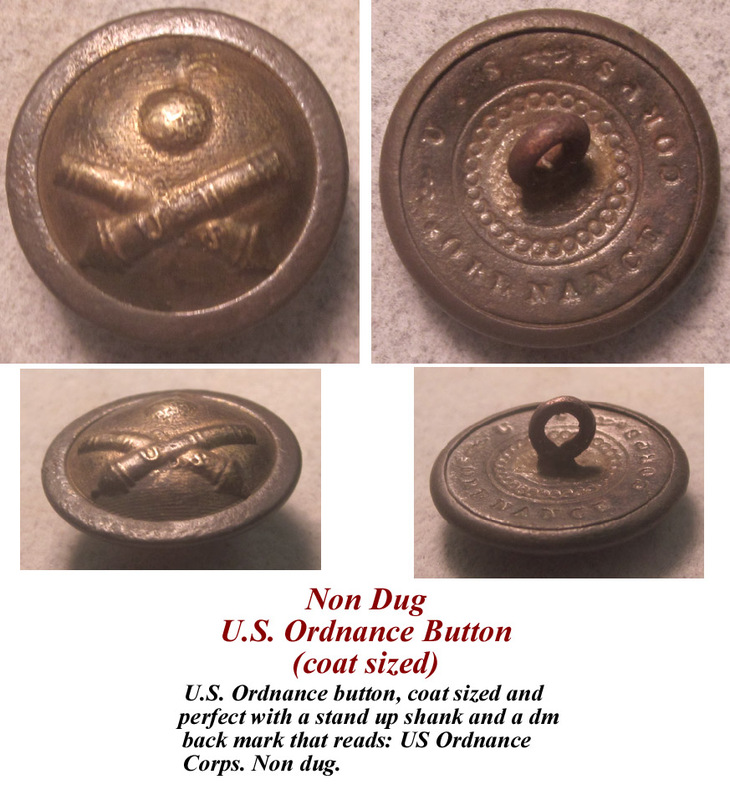 Ordnance button, coat sized and perfect with a stand up shank and a dm back mark that reads: US Ordnance Corps. Non dug. Non Dug U.S. 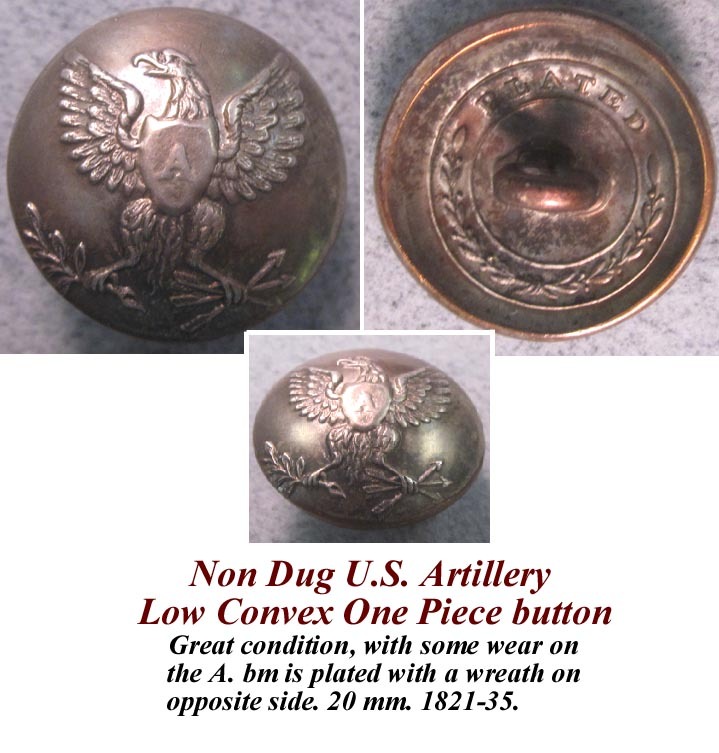 Artillery Low Convex One Piece button. Great condition, with some wear on the A. bm is plated with a wreath on opposite side. 20 mm. 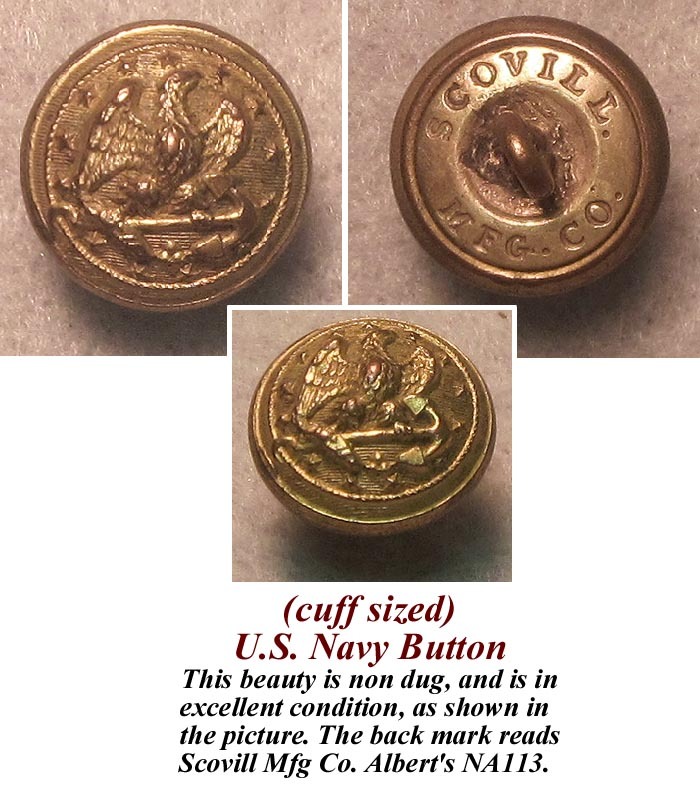 1821-35.
and the back mark is Scovill Mg.
U.S. Navy Button (cuff sized). 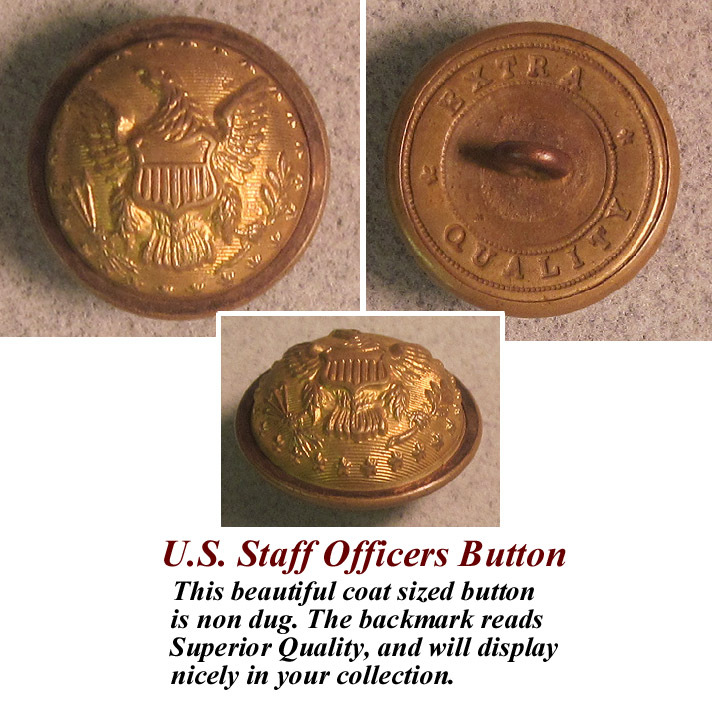 U.S. Staff Officers Button (coat sized). 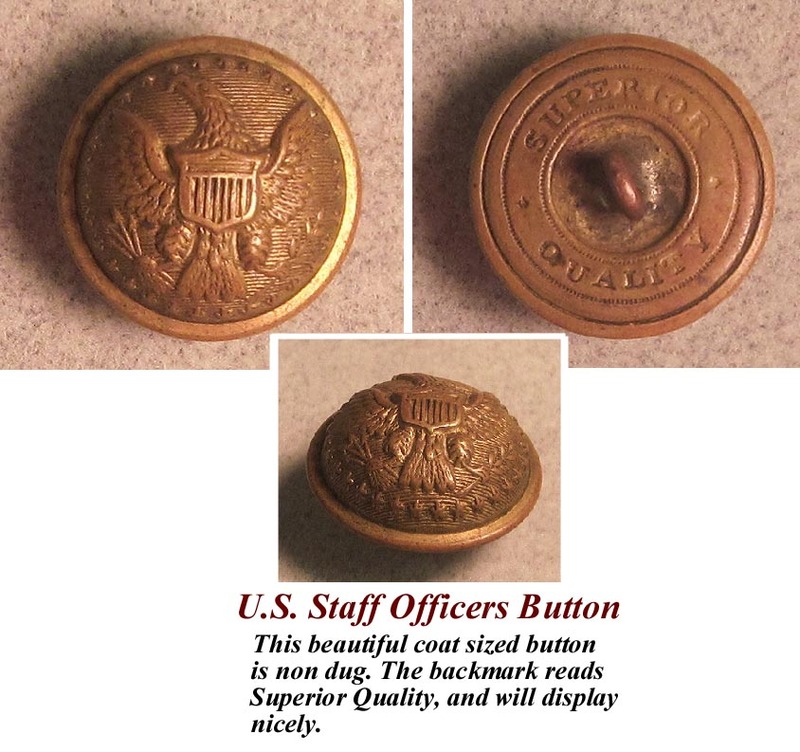 This beautiful coat sized button is non dug. will display nicely in your collection. 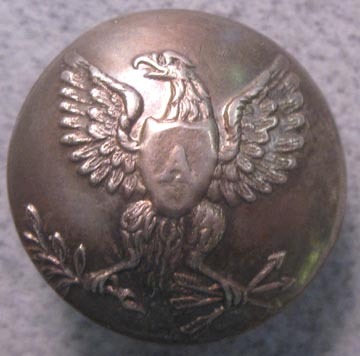 U.S Military Academy Cadet Button. 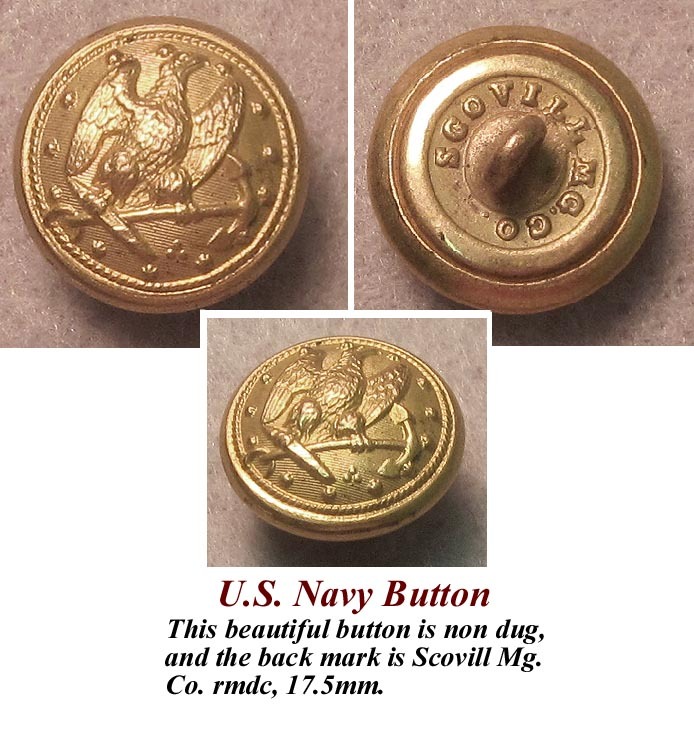 A 14mm beauty, non dug with the backmark SCOVILL MF'G CO., this button is Tice's MA206AS1 and Albert's SU6. Add this button to your collection for my modest asking price.